Pretty Hetty Sorrel is loved by the village carpenter Adam Bede, but her head is turned by the attentions of the fickle young squire, Arthur Donnithorne. His dalliance with the dairymaid has unforeseen consequences that affect the lives of many in their small rural community. 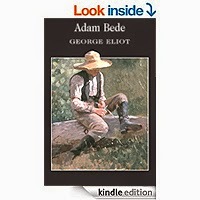 First published in 1859, Adam Bede carried its readers back sixty years to the lush countryside of Eliot's native Warwickshire, and a time of impending change for England and the wider world.